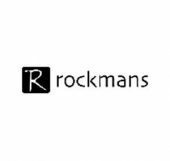 Rockmans delivers Australian women the latest looks and must-have fashion items at unexpected prices. Renowned for affordable fashion, we are proud of the on-trend, quality and great fit of our garments at the prices we offer. With new styles arriving in store each week, you will be sure to find fashion for your lifestyle that will fit, flatter and elevate your style.